The late William Cooper and the late Pastor Sir Douglas Nicholls KCVO OBE MBE have been honoured as part of Greater Shepparton's Aboriginal Street Art Project. In 2016, Greater Shepparton City Council came up with an idea to celebrate the local Aboriginal people and their culture through street art. Street art has become quite prevalent in Northern Victoria and if Greater Shepparton was to commence a street art project, it would be pertinent that the project links back to Greater Shepparton in some way. Did you know that Greater Shepparton has the highest population of Aboriginal people in Victoria outside of the City of Melbourne? In fact, when you consider the City of Melbourne is made up of over 500 suburbs, Greater Shepparton as an area actually has the highest number of Aboriginal people in Victoria. CLICK HERE to join the Facebook event for the official project launch. The Aboriginal history and culture is rich within the Greater Shepparton region and what a perfect theme for a street art project! Council, in discussion with the local Aboriginal community, noticed an interest amongst the locals in recognising significant figures who are not currently recognised within the region. Instead of the community putting their own hands up to potentially be featured within artwork, they felt it was much more pertinent to recognise their ancestors and significant elders that they look up to. The two names that popped up the most were Uncle William Cooper and Pastor Sir Douglas Nicholls. Consultation began with Rumbalara Cooperative, Yorta Yorta Nation Aboriginal Corporation, the local Aboriginal community and the families of both Uncle William Cooper and Sir Douglas Nicholls. 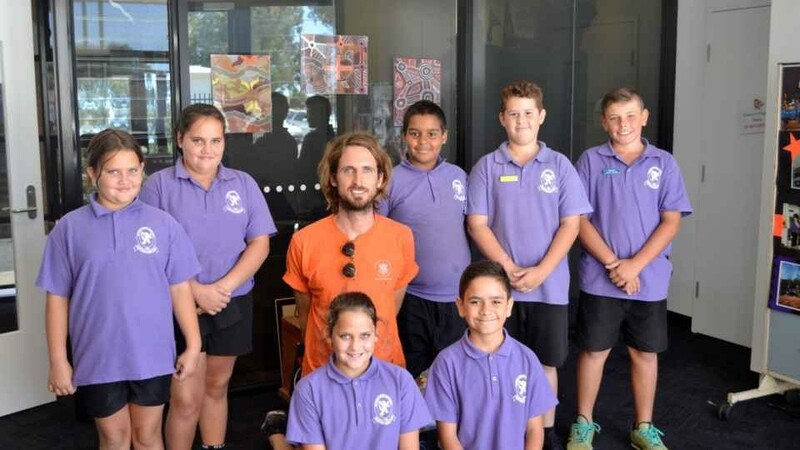 Both individuals were approved to be featured within a mural through both the Yorta Yorta Aboriginal Corporation Elders Committee and the Rumbalara Cooperative Elders Committee. Research commenced regarding most suitable artists who have a proven record in painting large sized portraits of people. Given this project is going to feature portraits, it is incredibly important that the likeness is matched to a tee! Goulburn Valley Water offered Council their wall on Fryers Street to showcase the first mural and have also offered Council the opportunity to showcase the second mural on the adjacent wall. Council has committed to recognising two Aboriginal females that will be selected by the local community and both females will be announced later in the year. 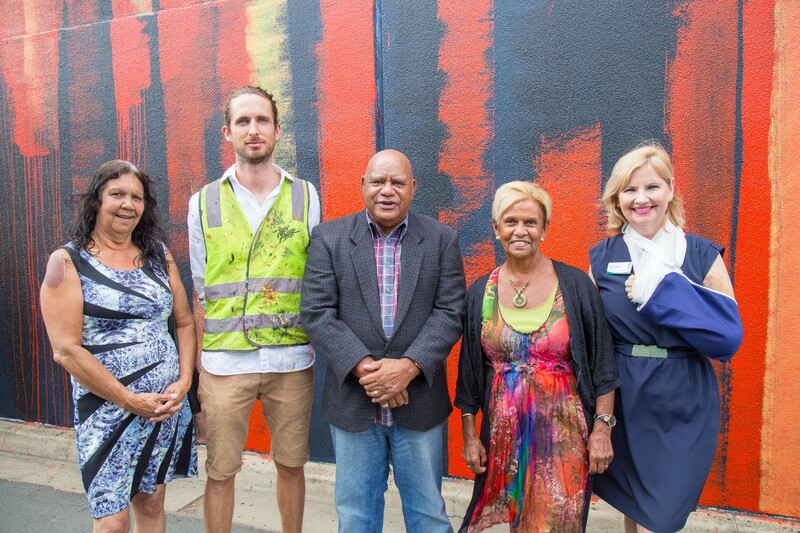 (L-R) Merle Miller (Rumbalara Co-op, Elders Committee Member), Adnate (Project artist) Robert Nicholls (Nephew of Sir Douglas Nicholls), Aunty Pam Pedersen (Eldest Daughter of Sir Douglas Nicholls), Cr Kim O'Keeffe (Deputy Mayor, Greater Shepparton City Council) at today's Aboriginal wall art project in Shepparton. Pastor Sir Douglas Nicholls KCVO OBE MBE, who has an annual AFL round dedicated to him was born 9 December 1906 at the Cummeragunja Reserve and was a prominent Aboriginal from the Yorta Yorta people and is known to many as ‘Uncle Doug’. Sir Douglas Nicholls was the first Aboriginal person to be knighted and in 1976 was made Governor of South Australia. Earlier, during the commencement of his football career for Fitzroy, Sir Douglas Nicholls was subjected to on field taunts and ostracised by his team-mates due to his colour. Sir Douglas Nicholls was at an early stage changing in a separate change room to his team mates until he was befriended by team mate Haydn Bunton who ensured Nicholls was made welcome within the Fitzroy Football Club team. Sir Douglas Nicholls, due to his skill, vision and lighting speed, became a popular player amongst the spectators and is now recognised as a football legend. William Cooper, born on 18 December 1860 and known to many as Uncle William Cooper was an Aboriginal political activist and community leader. William Cooper who was a Yorta Yorta man, campaigned for Aboriginal rights, particularly land and is also recognised for protesting against the Nazi Government of Germany due to their poor treatment of the Jewish people. William Cooper led a delegation to the German Consulate in Melbourne to deliver a petition which is recognised as the only petition against the Germans following Kristallnacht. On 6 December 2008, the 70th anniversary of the protest against Kristallnacht, William Cooper's grandson, Alfred "Boydie" Turner, also known as Uncle Boydie was presented with a certificate from the Israeli Ambassador stating that 70 Australian trees were to be planted in Israel in honour of William Cooper. 29 March 2017 marked 76 years since William Cooper passed away in Mooroopna in 1941.